The German colonial period in the Caprivi Strip of Namibia is undoubtedly connected with the name of Captain Streitwolf. His own account of his work in the region, Der Caprivizipfel (1911) and the biography Kurt Streitwolf: Sy Werk in Suidwes-Afrika 1899-1914 by Ernest Lodevicus Paul Stals (1979), are to date the only publications dealing with this interesting period in German colonialism and Namibian history. Streitwolf was undoubtedly one of Germany’s most competent officers. His political insight and his achievements in one short year whilst in command as first Imperial Resident of the Caprivi Strip are astonishing. After only a brief posting in the Caprivi, Streitwolf introduced a local administration based on traditional order and one so effective, that it still remains intact despite many political changes in the region. German administration in the Caprivi Strip came to an end in 1914, during the second term of office of Streitwolf’s successors, Lieutenants Hans Kaufmann and Viktor von Frankenberg. The surrender of the Schuckmannsburg headquarters to the troops of the British South Africa Police occurred under very unusual circumstances. 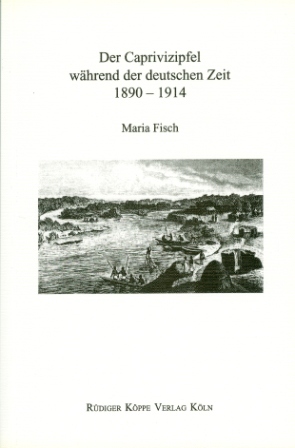 This study deals not only with the short five-year period during which Germany was in charge of the local administration, but also gives an overview of the events during the 18 years (1890–1908) that followed the annexation of the Caprivi Strip by Germany. The documents regarding this work were obtained primarily from the colonial files of the National Archives of Namibia. (1995–2007) at the University of Cologne, Germany. She published further monographs on the Namibian history, as well a grammatical sketch of Mbukushu, see the links below. Already in 1996 a licensed reprint was published by Out of Africa, Windhoek/Namibia (see above with a green book cover. In 1999 the same Namibian publisher made an English translation of this successful book available. This study is mainly based on the sources housed in the National Archives of Namibia. It is written in a lively style and contains some previously unpublished illustrations. 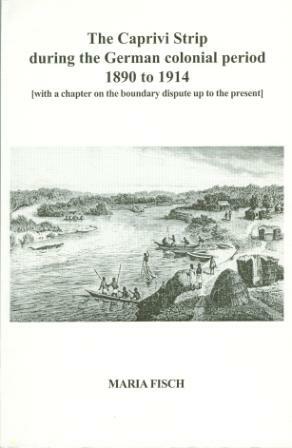 The first two chapters focus on the annexation of the territory and the creation of new boundaries. The next five chapters discuss the political, economic and legal structures in 1909. Fisch also emphasizes the important role played by the first imperial officials, Captain Kurt Streitwolf, and his deputy, Lieutenant Hans Kaufmann. [...] The concluding chapter deals with the end of the German period and the subsequent occupation by the Allies. This book makes an important contribution to the historiography of colonial Namibia.